As ethnobiologists—as people—one of our major strengths lies in our relationships. Of course, this is probably not news to any of you. You likely harbor similar sentiments in your own work and life. But as one of the simplest truths, it is also one of the most easily overlooked or compromised. I propose a reexamined recognition of relationships within our work. Please allow me to extrapolate with anecdotes from my fieldwork. 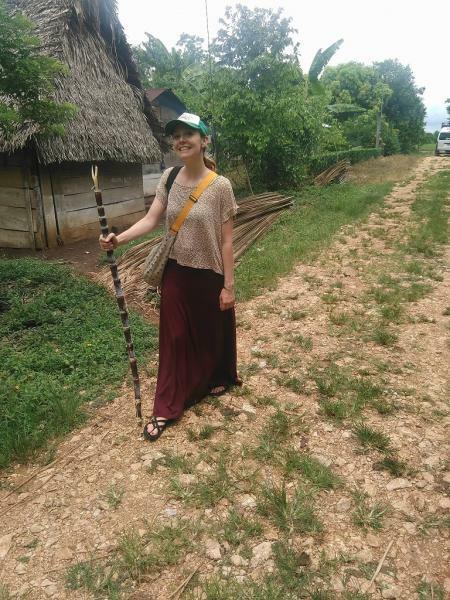 I began ethnobotanical fieldwork for my graduate anthropology program in 2016 in rural Guatemala. Beforehand, in my search for a field site in the general vicinity, a few ethnobiologist friends suggested I get in touch with a biologist they knew in Guatemala City with long-standing connections in the village of Santa Lucia, where I ended up staying. Through the biologist’s goodwill, we collaborated to set up a meeting with the village leaders to discuss my interests. First point for relationships. First fieldwork season in 2016. Kids gave me sugarcane to munch on as I walked through the village. Developing rapport is a cornerstone of anthropological fieldwork (and the best—really, the only—way to get anything done). Upon arrival in Santa Lucia, my research partner suggested we present our research ideas to the local governing council to gain permission to work in the village (for the whole protocol, see Medinaceli, A. 2018. Taking an Early Step in Ethnobiological Research: A Proposal for Obtaining Prior and Informed Consent from Indigenous Peoples. Ethnobiology Letters, 9(1), 76-85). This local governing council gave their support, contingent on the community’s acceptance during an upcoming community assembly and a written agreement of terms for our work. All this said and done, and several weeks of research later, members of the council expressed their appreciation for the way we handled this initial step, saying things like “We really like the way you work,” and “No researcher has ever approached us like this before.” Great for the community. Great for us. (Sad for the state of research.) Anyway, another point for relationships. Fieldwork comes with, perhaps, as many—if not more—challenges than it does moments of grace. The high points were interviewing villagers about the uses of their home garden plants, planting prickly pineapple “seeds” in the sunny fields, and chewing on sugarcane stalks gifted by adorable, though often tooth-less, village kids (ironic? Probably not). However, during my first two-month stay in Santa Lucia, I was sick with severe stomach complaints every two weeks (turns out you shouldn’t eat cheese from unpasteurized milk from local cows, especially when refrigeration is decidedly not a thing). Anyhow, the symptoms were severe. Were it not for the kindness of my local hosts and my research partner’s uncompromising support, I would not have made it (emotionally, physically, not to mention academically) through my fieldwork. The same issue cropped up on my second two-month visit, though luckily only once, when I somehow forgot about the cheese problem. But I made it through, thanks to… you guessed it, relationships. Point three. 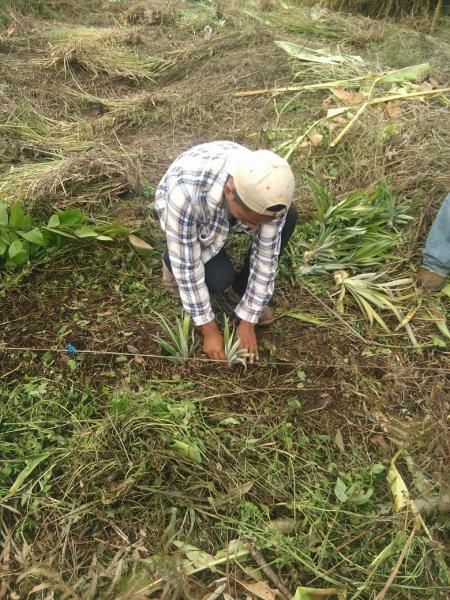 A friend and informant showing me how to plant pineapples. On visit number two to Santa Lucia in 2018, I held up my end of the terms of the agreement with the local governing council by returning research results to the community. 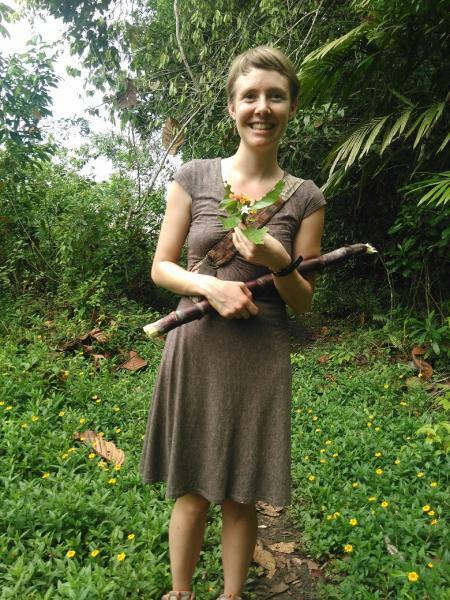 I also collected botanical voucher specimens and conducted more in-depth interviews on medical ethnobiology. One of the striking things about local ethnomedical practice that came out of these interviews was the relevance of sharing. When someone needs a particular medicinal plant that they don’t grow themselves, they often rely on extended family, neighbors, or friends to supply them from their own garden. This sharing may come in the form of gifts, trade, or cash sales. For example, Doña Juana, standing in her one-room home with a dirt floor, was excitedly describing the plant remedies she uses to treat a headache, and when I probed more about the plants, trying to figure out if I knew which ones she was talking about, she told me she couldn’t show me—yet. “They are growing at my neighbors’ house and since it is almost dark, you’ll have to come back tomorrow. I’ll get them from her and show you.” I returned next day to find Doña Juana with bundles of greenery—some shaped like long blades, others with oval leaves, almost all aromatic. “See? If I don’t have what I need, I can get it from her [the neighbor].” Local medicine sharing: a practical solution to health care accessibility. And another point for relationships. Second trip in 2018, same great sugary snack. Amidst fieldwork, I learned that the standard Q’qechi’ greeting, “Masaala ch’ol,” is actually asking “How is your heart?” Walking up and down the muddy, unpaved streets and paths, or arriving at villagers’ thatched-roof homes, I’ll impress locals by greeting them in their native tongue, only to disappoint them by not being able to carry on a conversation in Q’eqchi’. To care about another’s state of heart, as in this greeting, is relationship-building, par excellence. I reflect on the meaning of this greeting in other times and places. Just recently, reading news about the current and sorry state of politics in Guatemala, I thought of my friends and informants in Santa Lucia. How are they holding up amidst this tense political environment? I reached out to the ones with whom I’m in touch through the miracle of modern technology and social media: "How is your heart?" From a centrally-heated office in the rainy Pacific northwest, to the humid homes in the hot lowlands of Guatemala, we are able to check in on one another and nurture our relationships. 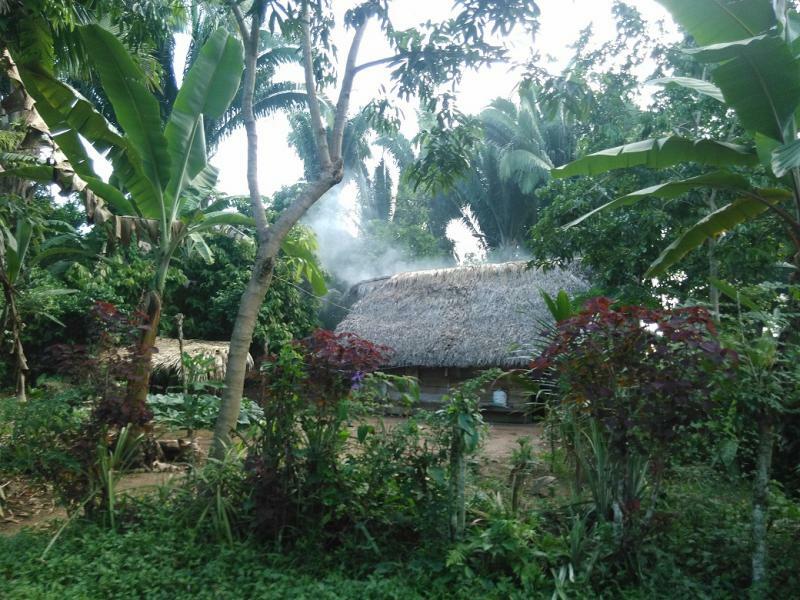 A typical thatch-roof home in Santa Lucia. Of course, relationships are not the only important thing in life and work. Nor are they always so swimmingly realized. The point, though, is that relationships are rich ground from which we grow ideas and find meaning. As ethnobiologists, we study the interrelationships of people, other living beings, and environments. We recognize the necessity of reaching across boundaries of self-hood and species-hood to develop relationships. It is this process of relationship-building that enriches our work and our insights. Let’s keep this awareness close to our hearts.